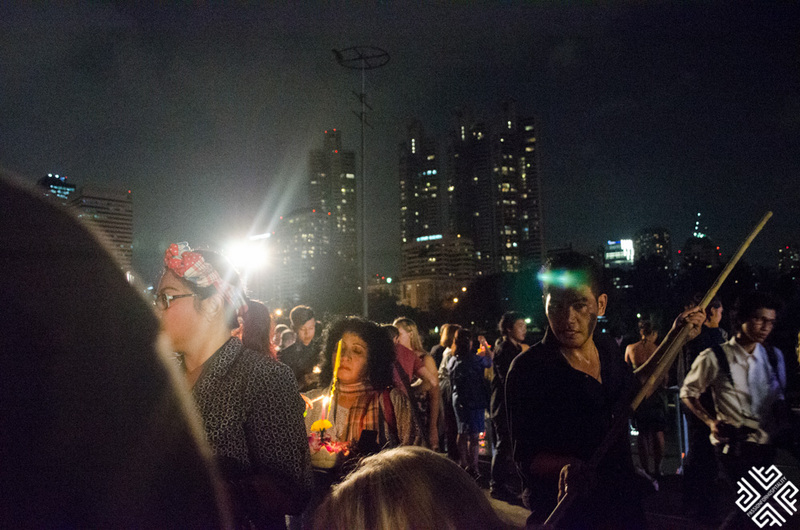 Loi Krathong is a festival which is celebrated annually throughout the Thai cultures. It takes place on the full moon of the 12th month in the traditional Thai lunar calendar which is usually in November. This year the festival is celebrated today, on 25 November 2015. 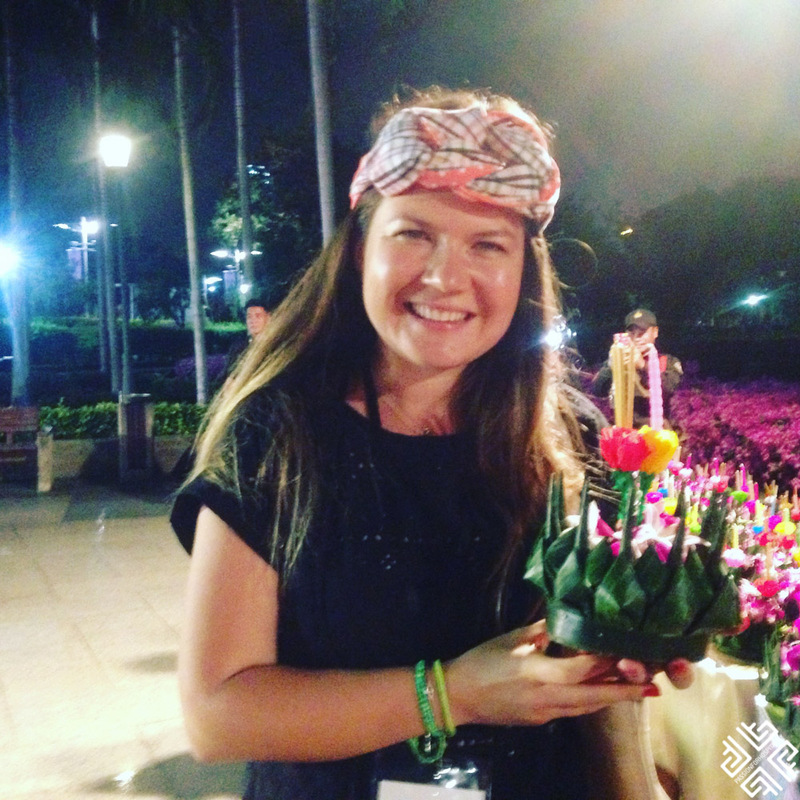 For the opening night of TBEX Asia which took place on the 15th October, the Tourism Authority of Thailand wanted all the participants to experience the uniqueness of the Loi Krathong Festival. The event was held at the Retro Live Cafe on the grounds of the venue, the Queen Sirikit National Conference Center. 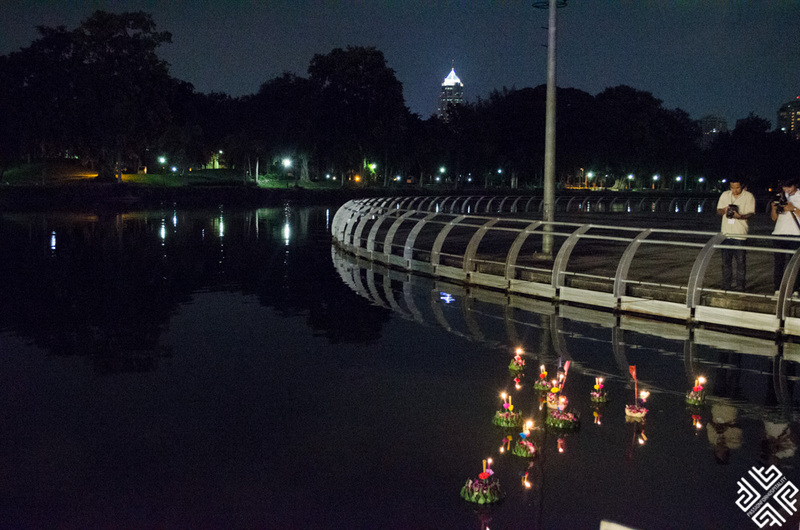 The name Loi Krathong can be translated as “to float a basket“, and comes from the tradition of making krathong, which are decorated baskets that are floated in a river. 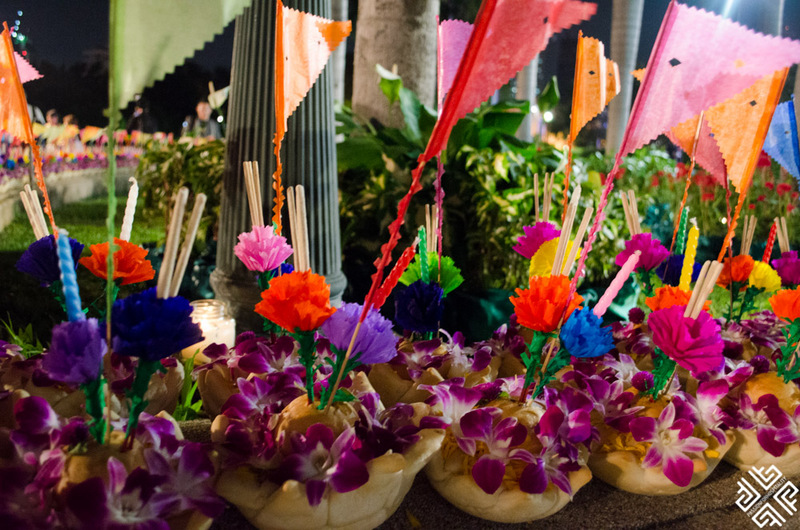 The traditional krathong are made from a slice of the trunk of a banana tree or a spider lily plant, the modern ones are made of bread which can be eaten by fish. They are decorated with banana leaves, flowers, incense sticks, and a candle. 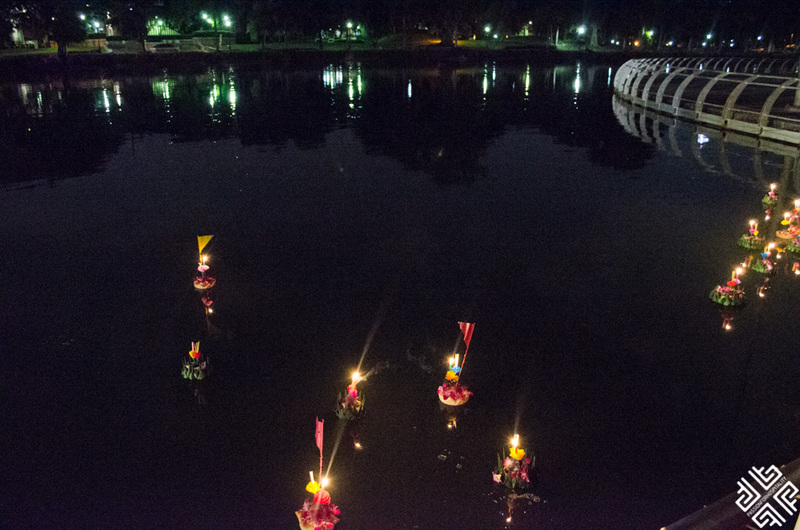 On the night of the full moon, Thai people set the krathong into the river, pond or canal making a wish as they do. It is said that all their worries float away. We got to experience this tradition at first hand, as we each received a krathong we had to light the candle and make a wish after which we set it into the river. 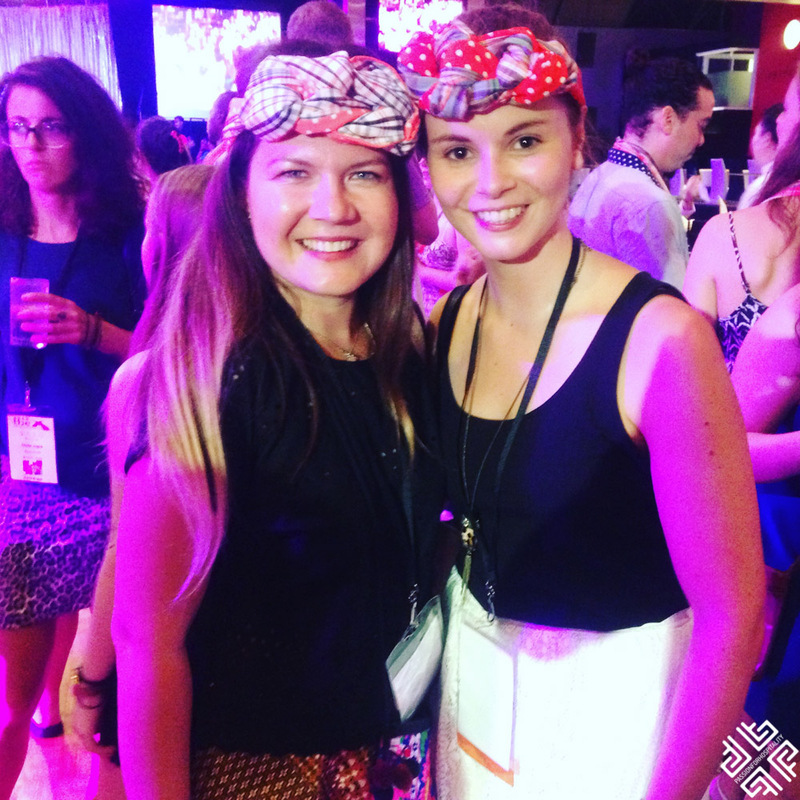 Pha-kao-mah is a traditional Thai Cotton fabric is what you see me wearing on my head. 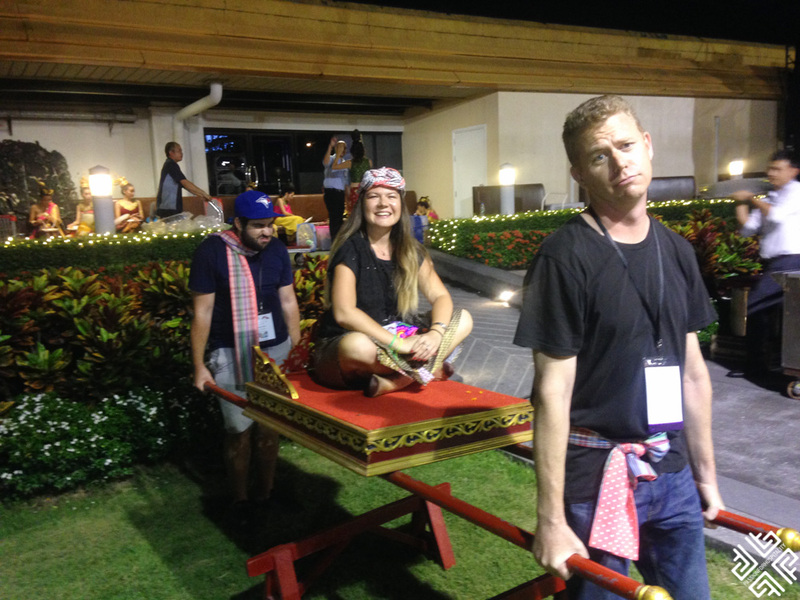 It was offered to us upon arrival to the TBEX Opening party. This fabric has been part of everyday Thai way of life for the past 900 years. In the past women used it to make a cradle for a baby whereas men wore it when bathing. Pha-kao-mah has a multiple purpose and is strong representation of Thai culture. 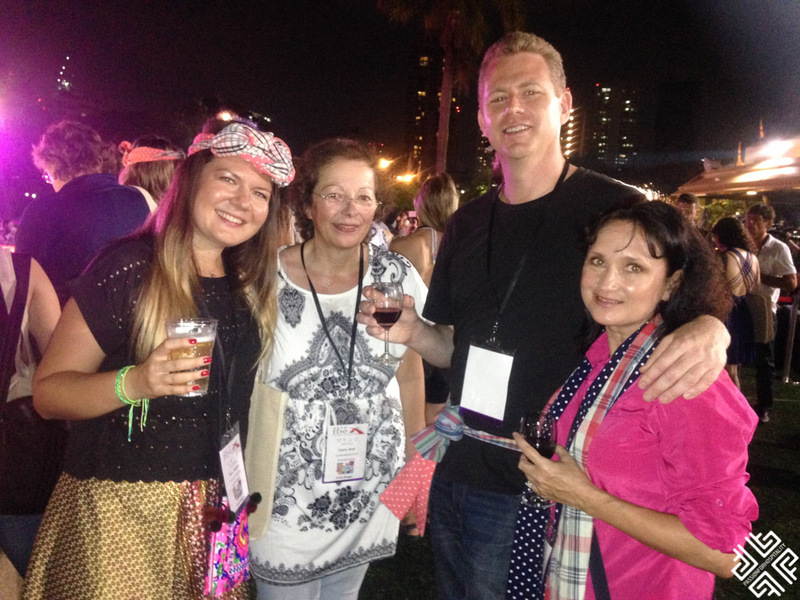 What I love about TBEX is making new friends and catching up with old friends. 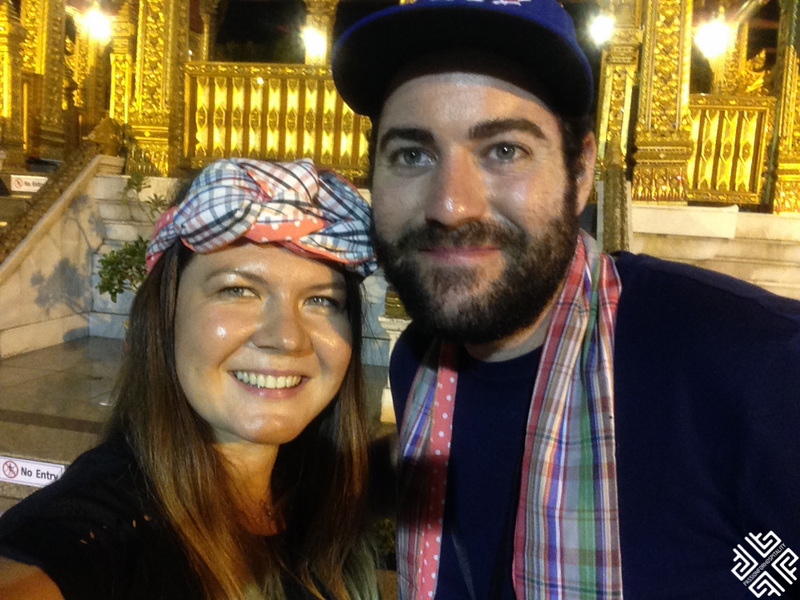 I caught up with Jen and Sean who run their blog Venturists, and I couldn’t believe that a year had passed since our meeting at the TBEX Athens. I also so my sweet friend Franziska of Coconut Sports whom I also met in Athens. Dave of Travel Dave said hi and was like let’s take a selfie, so this is how we met!